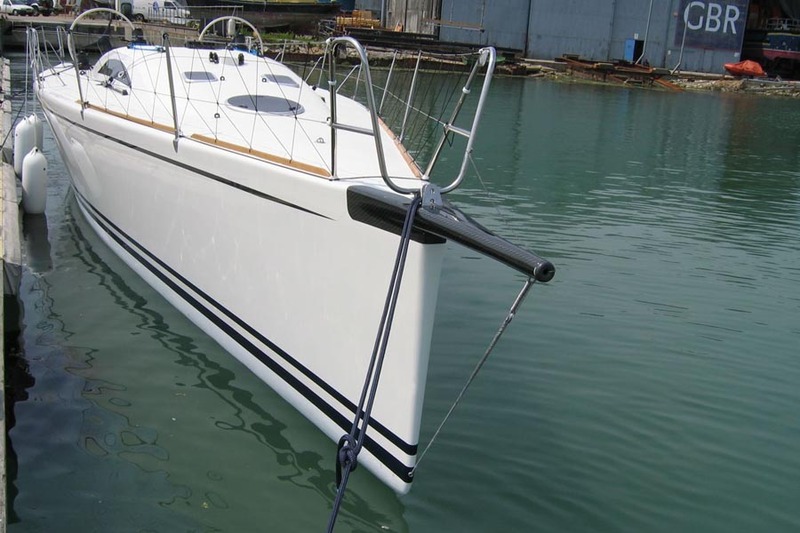 2 custom 43′ IRC performers for Ireland and the US. 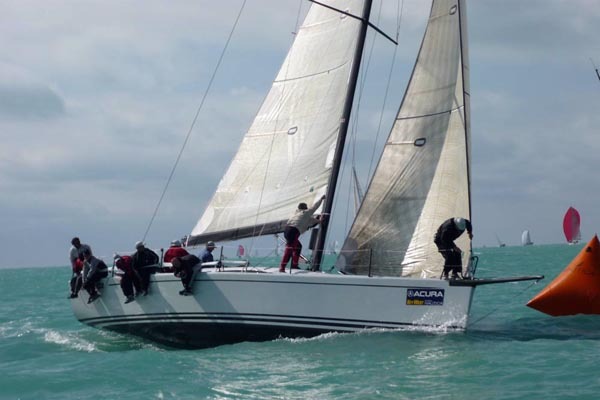 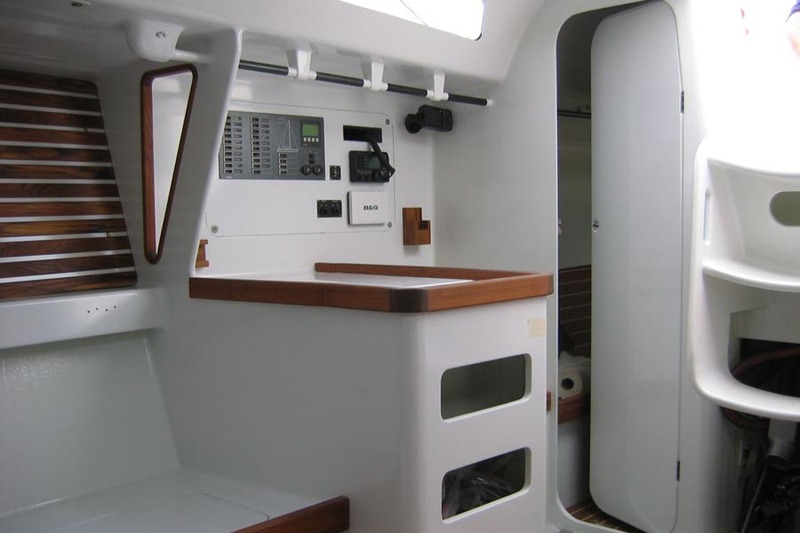 The latest Tiamat for Tim Costello of Dublin was launched by Vision Yachts in Cowes in spring 2008. 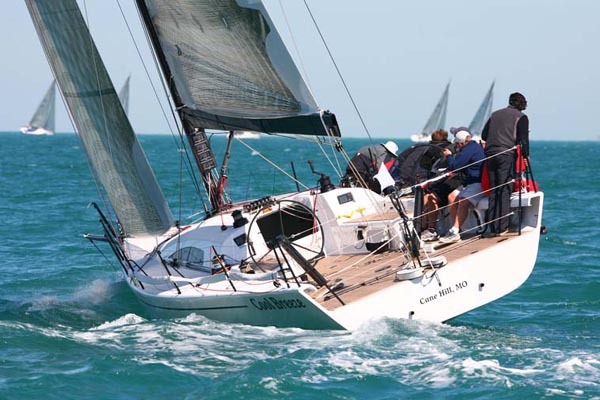 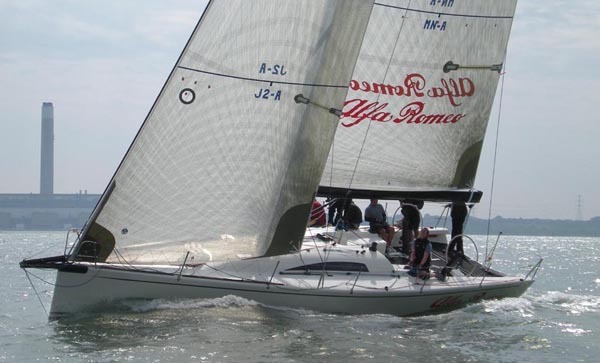 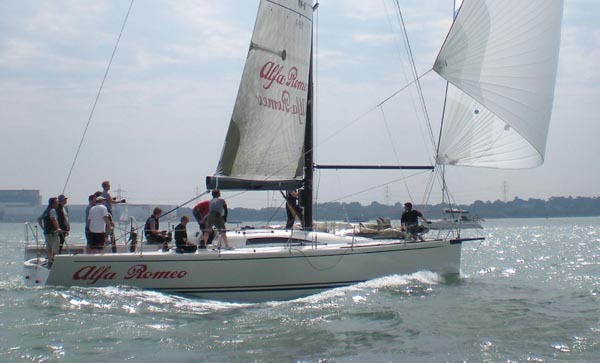 Named after a Babylonian dragon goddess Tiamat is a 43′ design intended for both Commodore’s Cup competition with the Ireland Green team but also to allow Tim to enjoy lower-key racing and sailing with his family as he did with his previous Tiamat. 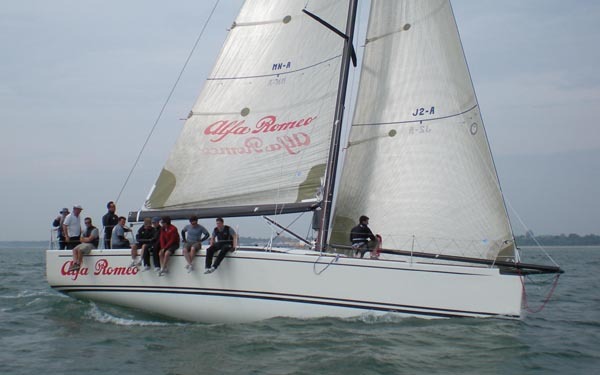 The new Tiamat extends the design themes and research program developed with our IRC 41 Ambush and focuses on windward leeward performance, with a healthy downwind sailplan whose mix of symmetric and asymmetric spinnakers flown from a conventional pole reflects the tidal impact of Solent sailing as well as the average windspeeds expected in Northern European sailing. 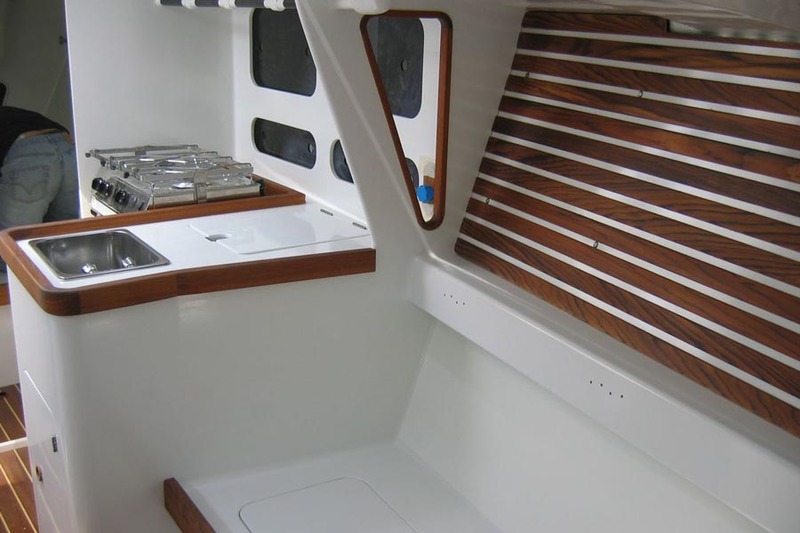 Within a very tight timescale Vision produced female hull and deck tooling to ensure the highest quality construction, and have done an exceptional job to launch a beautifully finished boat. 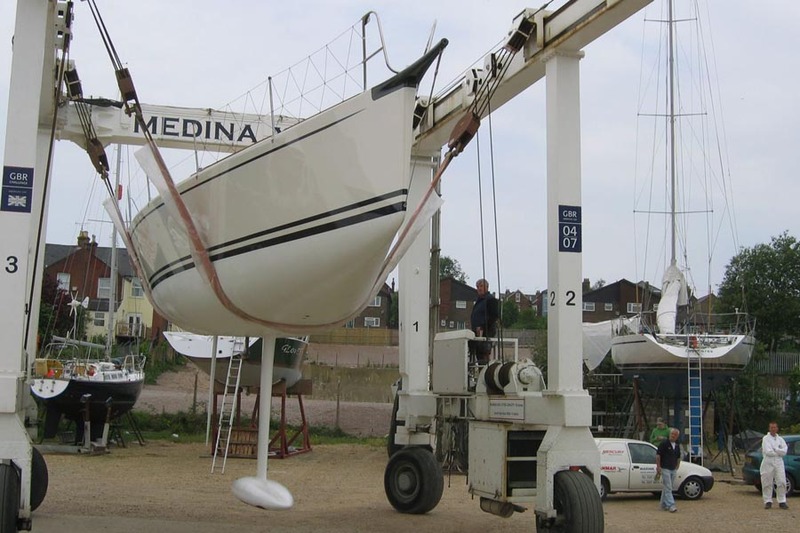 The engineering by John Fox at FCS reflects the constructive relationship we have had with Vision over a number of years, allowing Vision to collaborate to produce build solutions which best use their experience and talents. 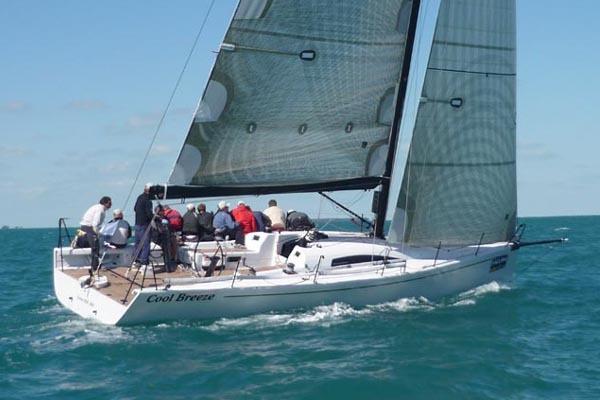 The female tooling allowed a second hull to be produced and with a number of adjustments to reflect the conditions and desires of her US owner was launched in late 2008 as Cool Breeze, going on to win the IRC 40-43′ class at a particularly mixed Block Island Race Week, the pre-eminent US East Coast event.